Birmingham is a beautiful historic city offering a wide range of exciting things. The city is known as the cultural and entertainment capital of Alabama. With numerous museums and galleries, vibrant genre of festivals & events and various notable landmarks, the city attracts millions of visitors annually. Other attractions include parks and recreation areas, upscale restaurants, famed ballet, orchestra and opera companies. 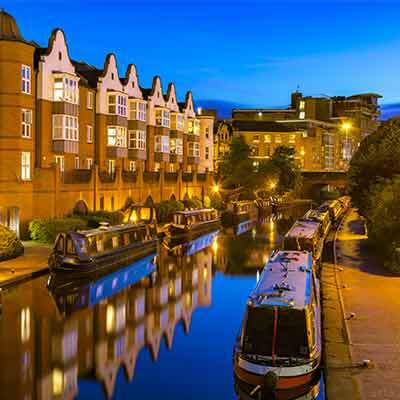 Book cheap flight tickets to Birmingham and explore the city in all its glory. Birmingham is a city located in the U.S state of Alabama. It was primarily an industrial center but has now transformed into a multicultural city with vast number of universities, sports centers and other cultural arcades. The city has seen tremendous growth during the late 1800s to the early 1900s. Hasten up and catch flights to Birmingham to discover the city that delights with the presence of tourists. Barber Vintage Motorsport Museum – Founded by George Barber, an American philanthropist and businessman who was enthusiastic about collecting motorcycles in the 1970s, the Barber Vintage Motorsport Museum was established for speed fanatics. The museum was officially opened in 1994 and in 2003 it was relocated to the Barber Motorsports Park. It consists the world’s largest collection of motorcycles. More than 1400 vintage and modern motorcycles are displayed in the museum which led it to be featured in the Guinness Book of Records. Birmingham Museum of Art – Inaugurated in 1951, the museum represents the finest collections of Asian, American, Native American, African, European and Pre-Columbian art. The museum displays more than 26,000 paintings, prints, drawings, sculptures and decorative arts dating from ancient to modern times. The museum also holds lectures, workshops, exhibitions, events and other activities for different audiences. The major highlights of the museum include finest collection of Asian Art, Vietnamese Ceramics, Kress Collection of Renaissance, Baroque sculpture, paintings and 18th-century European decorative arts. Vulcan Park and Museum – A lush green beautiful space, Vulcan Park and Museum are located on top of the Red Mountain. The park features a 56-foot statue of Vulcan, the Roman god of fire. It is one of the largest cast iron statue in the world and is counted amongst the city’s most notable symbols. The park is a famous place for weddings, parties and breathtaking views of the city. It is also home to the Vulcan Museum, which hosts events, lectures and a wide range of exhibits. Birmingham Zoo –The zoo presently is home to more than 900 animals representing 230 species from across the globe. The zoo extends facilities and activities like the Kudzoo café, Pelican feeding, carousel, Safari café, Lorikeet feeding, Wildlife show and Safari peak show. Animals which can be seen in the zoo include elephants, giraffes, tigers, zebras, bobcats, rhinoceroses, and many more. Several endangered species from the other six continents can also be seen there. The zoo is famous for many educational programs and strong conservation efforts. Kelly Ingram Park – A historic four-acre park, named after a local firefighter Osmond Kelly Ingram, the park reflects various notable movements that happened in the history of the city. It was the location for large demonstrations that took place during the American Civil Rights Movement, in the 1960s. Several pieces of sculpture related to the civil rights movement are located here. Cultural festivals and entertainment events are organized throughout the year. Other attractions in the park include a central fountain, statues of Martin Luther King Jr., Fred Shuttlesworth and other personalities hailing from the civil rights movement. Railroad Park – An attractive green space in the city, the park features over 600 trees, various types of flowers, paths, wetlands, ponds, streams and a lake. Numeroud concerts, family activities and cultural events are held at this venue. The park is situated near south of two rail lines that pass through downtown Birmingham. If you are looking for cheap airline tickets to Birmingham, then you’re at the right place. Go through our website or mobile app and look for last minute flight deals and cheap flight deals to Birmingham. You’re sure to come across lucrative flight deals that suit your travel budget.